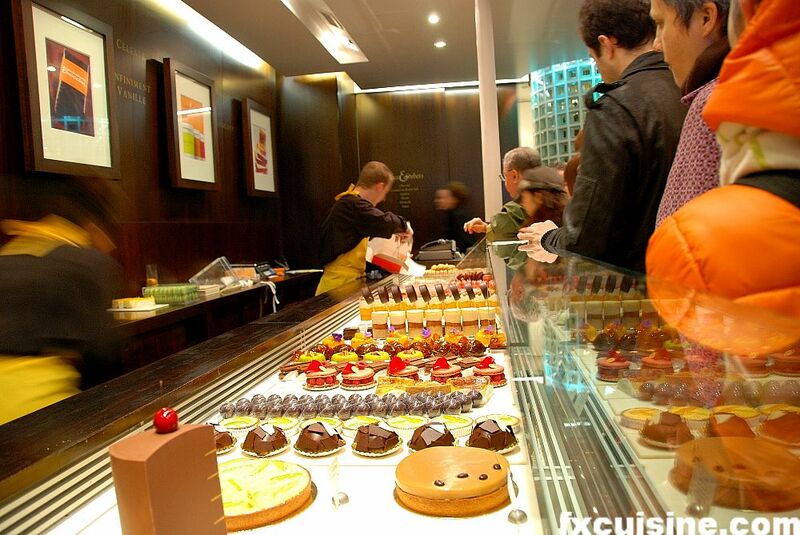 I have scrupulously visited every high-end pastry shop in Paris. I have French pastry guidebooks. And Pierre Hermé is the best. Not the biggest, not even the most famous, but there is not question his pastry is in a league of its own. Don't get me wrong, I'll eat you a pound of Ladurée macaroons any day, but where else can you get White truffle hazelnut macaroons? 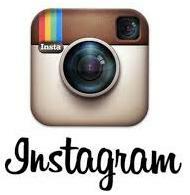 As you draw near on a Saturday afternoon, you see a troop of people waiting eagerly. Are they distributing hundred-Euros notes? Or maybe it's the Rolling Stones shopping for clothes? 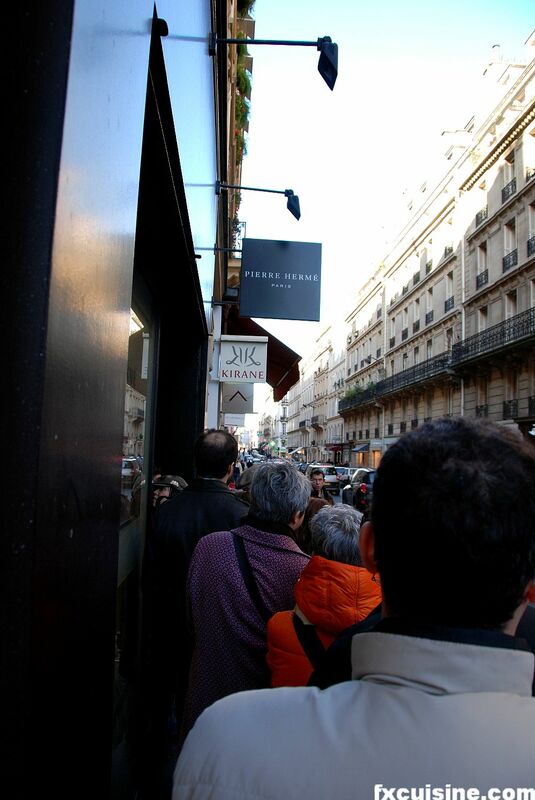 No, business as usual at Pierre Hermé. 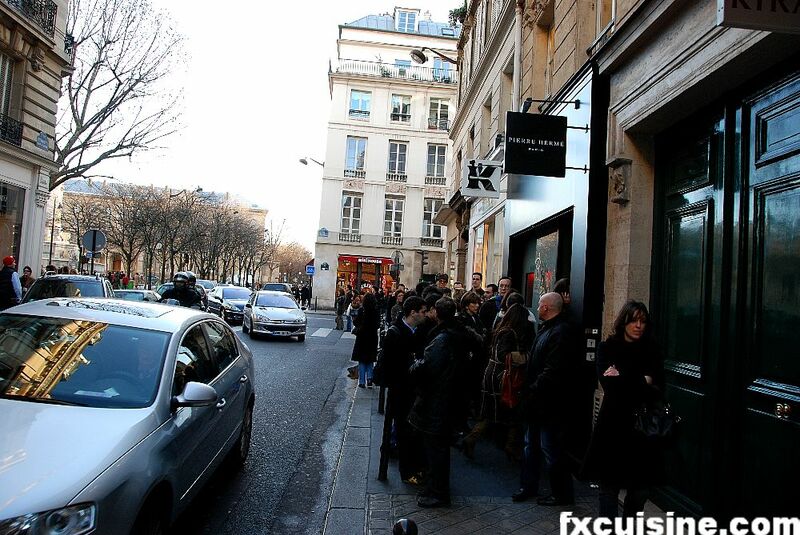 You wait in line to enter the shop. 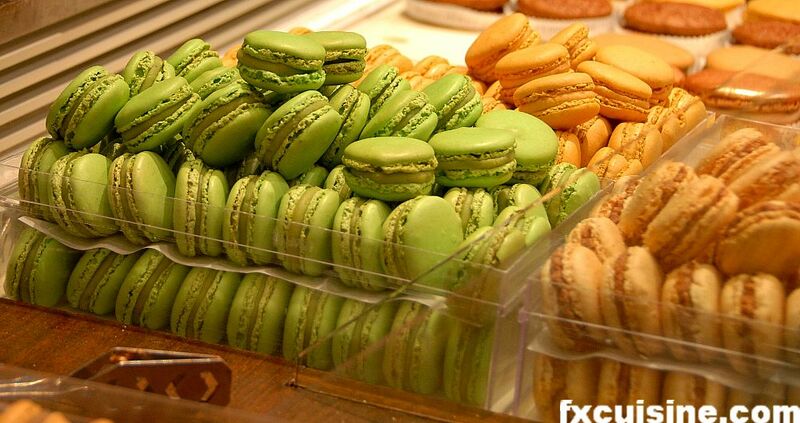 Pastry is the most affordable way of enjoying French gastronomy. 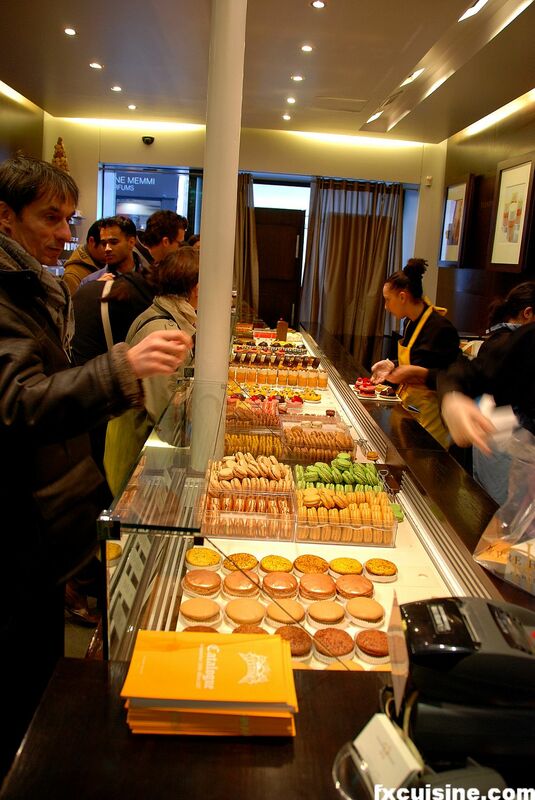 Most tourists and locals are priced out of Paris haute restaurants, but anybody can afford a €1.50 macaroon. Patrons at Pierre Hermé are regular people, with the occasional delivery boy coming to pick up €200 worth of cakes for a corporate event. 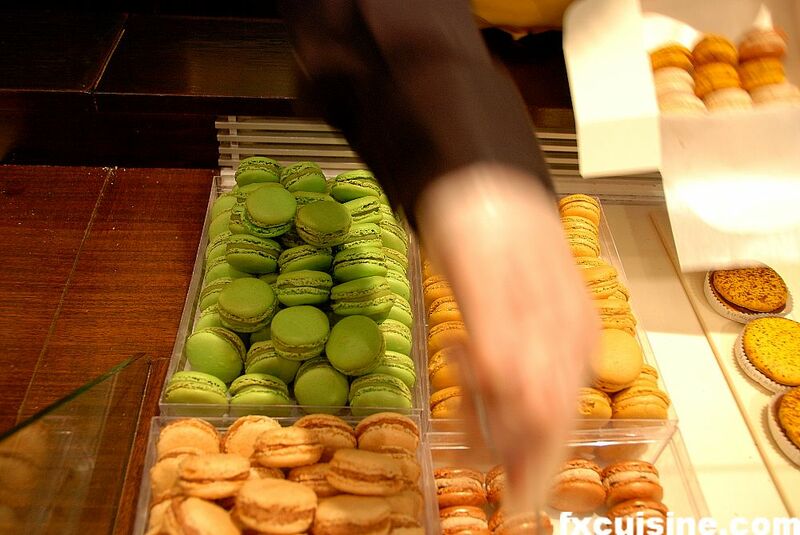 Pierre Hermé does not stock croissants or any traditional pastry. He fancies himself as couture pastry. Two collections a year. 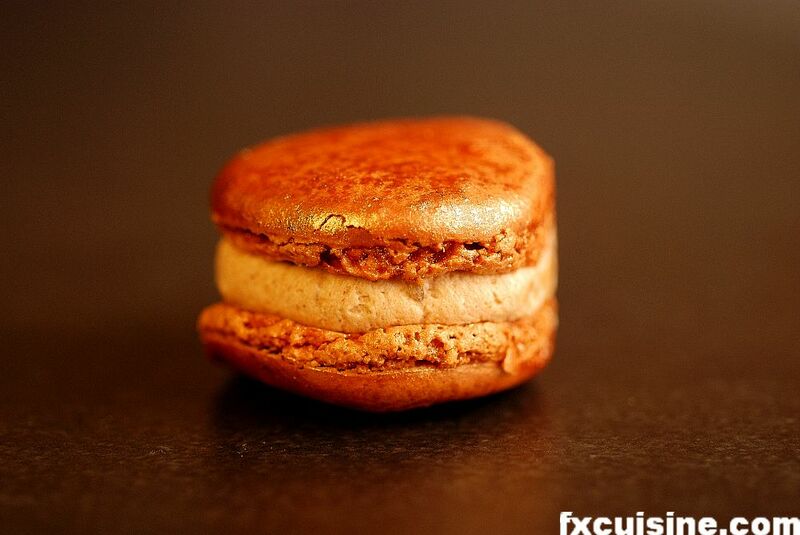 The only staple are macaroons, but they change too. Don't look for plain-chocolate macaroons for your auntie. 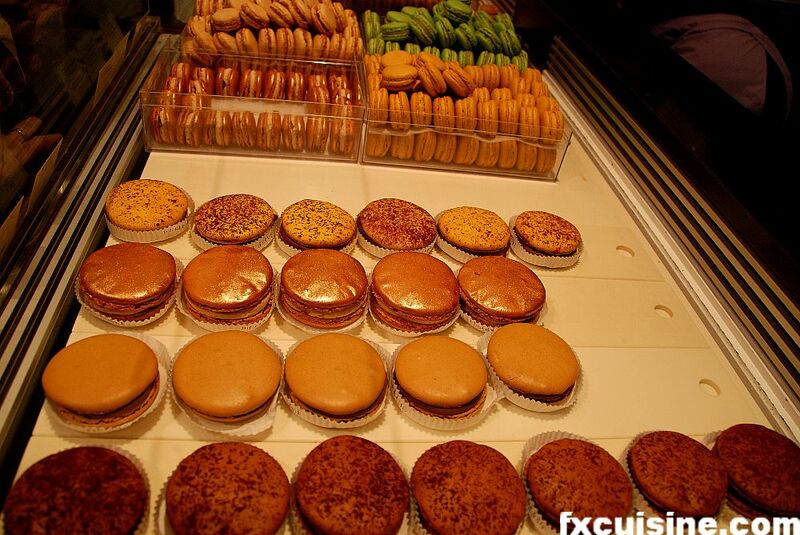 The extra-large macaroons above cost €3.60 a piece while the smaller ones are sold for €72 a kilo. 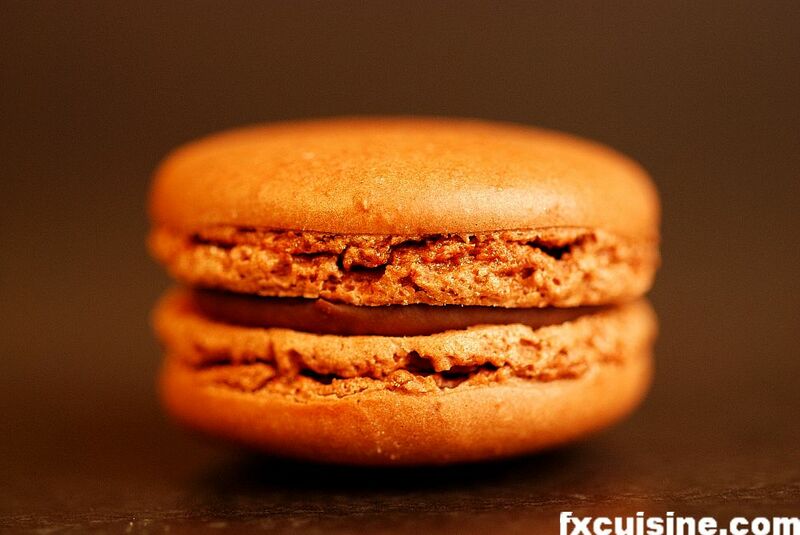 Now you have to realize that macarons is the aristocracy of pastry. Everybody can make a croissant, but a convincing macaroon takes aged egg whites, double-sieved white almond powder, confectioner's sugar and lots of skill. And then there is the filling. Oh the filling! This one had pure gold powder on the top. It gives it an intriguing shine - to say the least. This delicious macaroon uses a winning combination of a candied chestnut cream with a layer of matcha tea ganache.